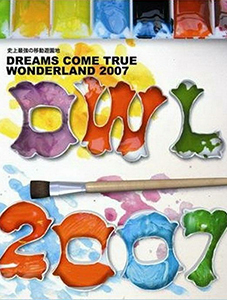 This is the Blu-ray release of DCT’s exciting and newsworthy Wonderland 2007 concert series! I (and a number of other DCTJoy forum members) was lucky enough to attend both of the Tokyo concerts and consider it easily the best concert series they’ve ever done! Check out my review as well as other forum member’s reviews. This Blu-ray edition contains 1 Blu-ray full of the Wonderland concert. The limited edition version also contains a special DVD featuring 8 special songs from the Power Plant live Wonderland concert that took place in Sapporo dome.